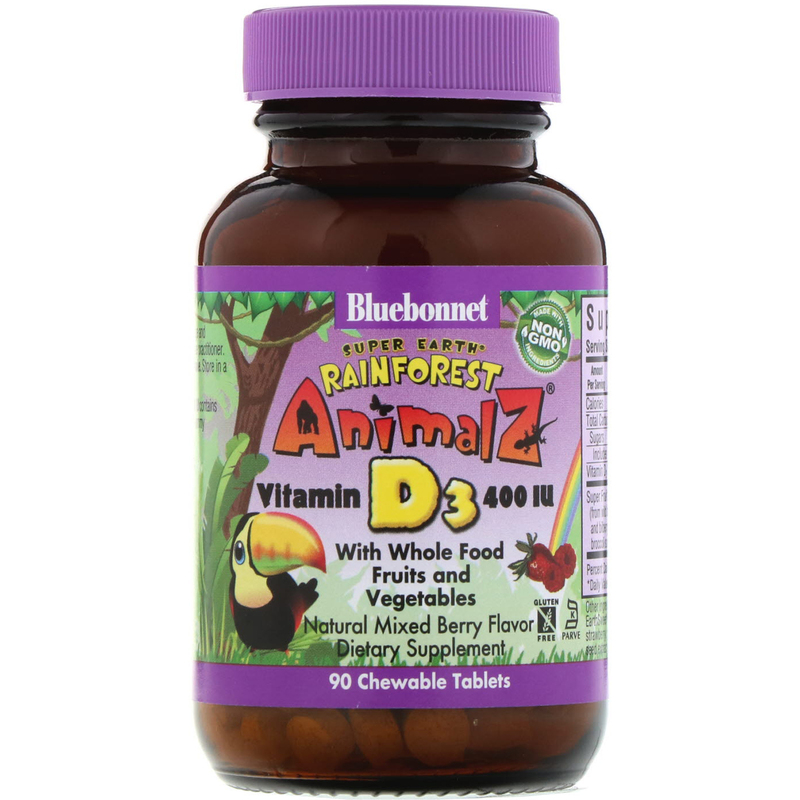 Bluebonnet's Super Earth Rainforest Animalz Vitamin D3 400 IU contains vitamin D3 (cholecalciferol), super fruits and vegetables in one yummy chewable tablet. 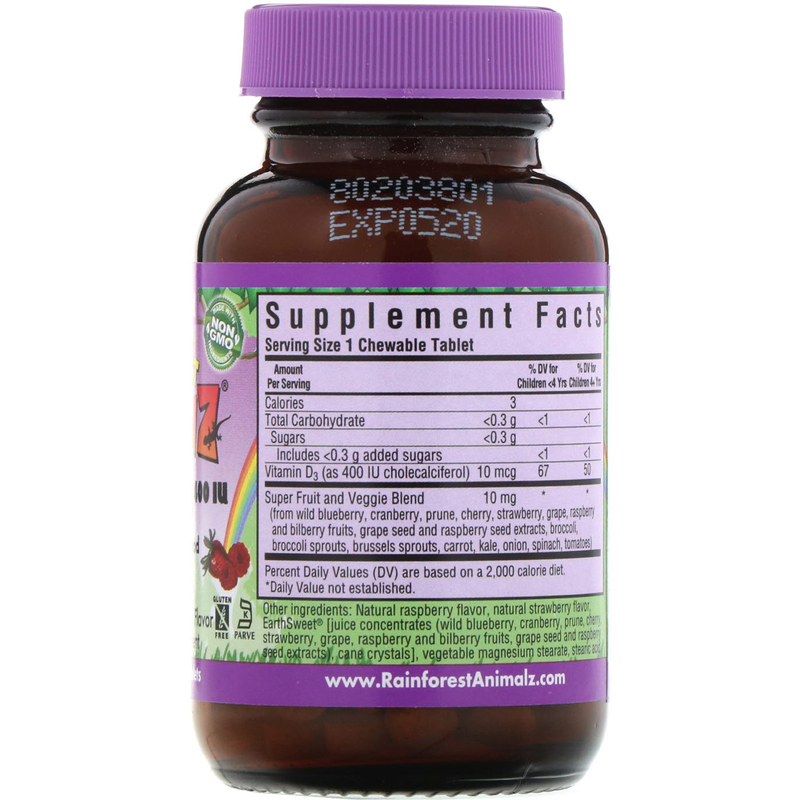 As a dietary supplement for children three years of age and older, take one chewable tablet daily or as directed by a healthcare practitioner. 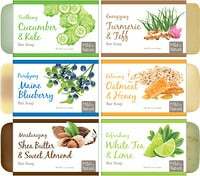 Natural raspberry flavor, natural strawberry flavor, EarthSweet [juice concentrates (wild blueberry, cranberry, prune, cherry, strawberry, grape, raspberry and bilberry fruits, grape seed, raspberry seed extract), cane crystals], vegetable magnesium stearate, stearic acid.